Court dismisses Hassan Diab's appeals, supports government order to extradite to France. Diab accused in 1980 bombing of French synagogue. A Canadian appeal's court on Thursday rejected a bid to stop the extradition of a Lebanese-born Canadian university professor, who has been charged with the deadly 1980 bombing of a Paris synagogue. 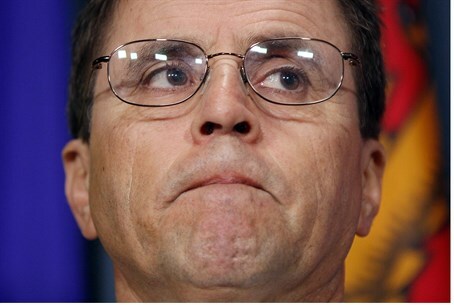 The Court of Appeal for Ontario denied Hassan Diab's appeal of a 2011 court decision against him, along with his appeal of a Canadian government order to extradite the University of Ottawa sociologist to France. Both requests are "dismissed," the court said in its decision. Diab, however, is not expected to be extradited soon, as his lawyers said they will now ask the Supreme Court of Canada to hear the case. Diab denies being behind what was the first fatal attack against the French Jewish community since the Nazi occupation in World War II. Four were murdered and over forty wounded in the attack. The attack occurred on October 3, 1980, the eve of Simchat Torah, when a bomb went off outside the Union Libérale Israélite de France synagogue in Paris. The detonation was caused by about 10 kilograms (22 lb) of explosives, and had been hidden in the saddlebags of a motorcycle parked outside the synagogue. Canada's justice minister in April 2012 signed an order to send Diab to France after a Canadian court in June 2011 approved his extradition, despite its concerns the French case is "weak." Diab's lawyers at the appeal's court attempted to argued against handwriting analysis of five words undertaken by France's expert in the case. The handwriting sample is considered to be the "smoking gun" in the decision to extradite Diab, his lawyer Marlys Edwardh told the appeal's court. It showed that Diab likely signed a Paris hotel slip under a false identity (Alexander Panadriyu), which was also used to purchase the motorcycle used in the bombing. Diab's legal team claimed that then-justice minister Rob Nicholson reached beyond his jurisdiction in ordering Diab's surrender, and that some of the evidence in the case came from unsourced intelligence from the French government, raising questions about its reliability. His lawyers also claimed that the intelligence has a "plausible connection" to torture.